The view of Castelfondo from the hill outside of town. 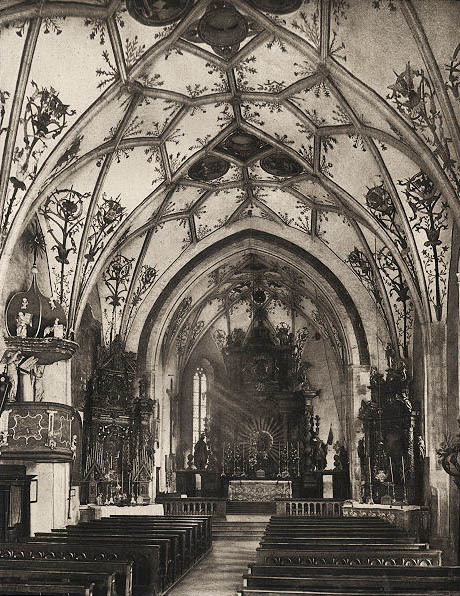 Probably about 1900. I love old photographs! Particularly fascinating are “then and now” images comparing hundred-year-old photos with updates of the same location today. Sometimes the area looks completely different and unrecognizable from the original photo; sometimes little has changed and it appears time has stood still. Castelfondo today. 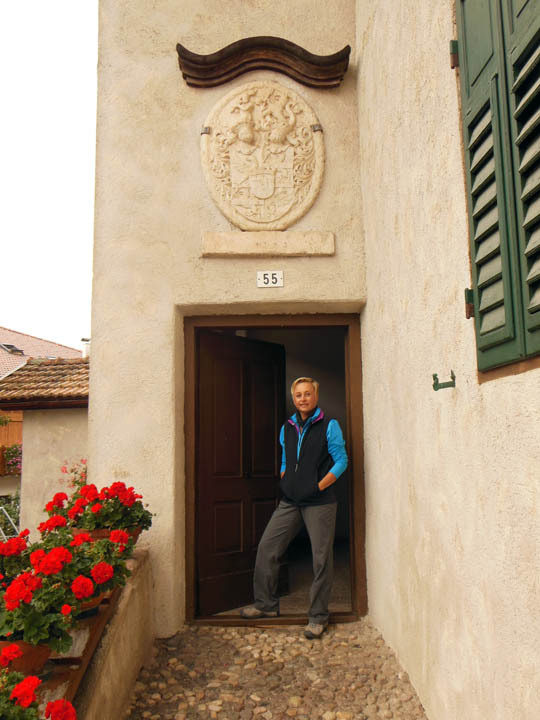 Photo from the “Commune di Castelfondo” website. Click photo to access this website. 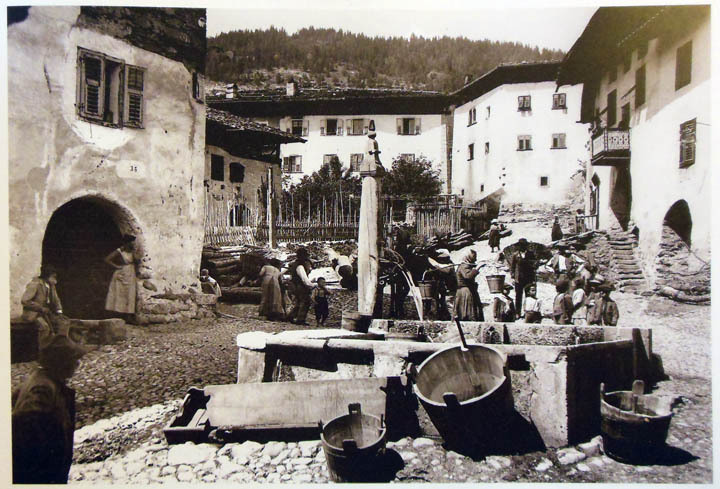 Here are a few photographs from Castelfondo – the village in Northern Italy where the Genetti family originated. You judge for yourself how much has changed … and how much has stayed the same. Castelfondo’s central well, photographed June 8, 1921. 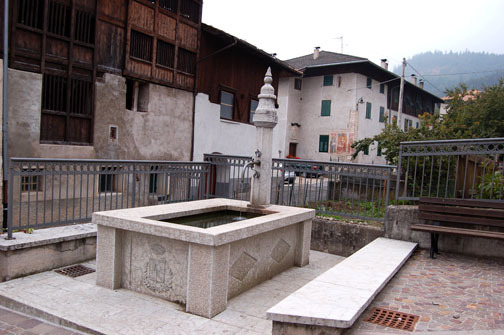 The village well (fountain) is located in a little piazza near the center of town. The town’s women would gather here to do laundry. Photo provided by Dino Marchetti of Castelfondo. The town well today. This is not from the same view as the older photo. The town well today is completely restored and mostly ornamental in function. 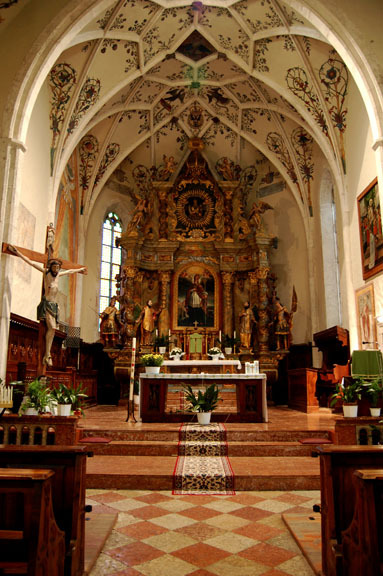 The interior of San Nicolo church photographed in the late 1800’s and San Nicolo today. 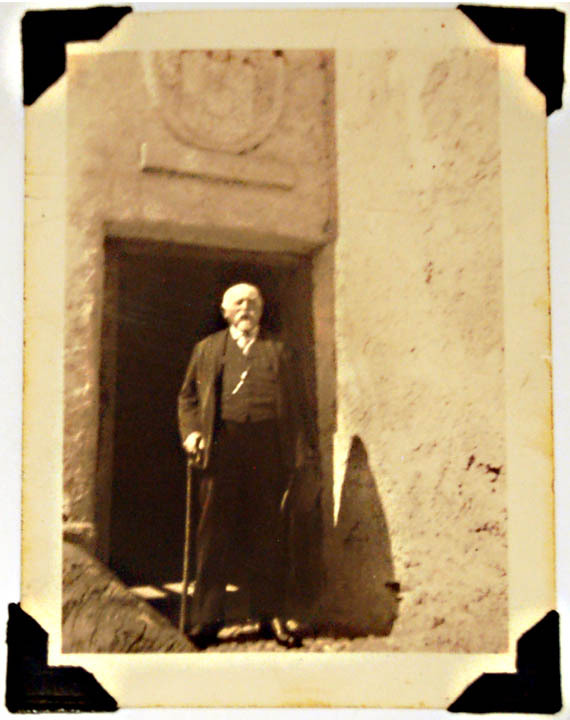 Damiano Genetti standing in the doorway of the Genetti homestead in Castelfondo, about 1937. The doorway of the Genetti Family homestead in Castelfondo. Louise Genetti Roach standing in the same doorway, 2014.